2017: Osa, the first condensing design boiler has won the distinguished RED DOT AWARD this year and it will be exhibited at the Red Dot Museum of Essen for one year. 2016-2017: Osa is displayed at the FUORI SALONE DEL MOBILE during the DESIGN WEEK of Milan. 2016: Osa by Unical is one of the selected products for the category ”Design of Materials and the Technological Systems” by the Permanent Observatory of Design ADI for the publication in ADI INDEX 2016, the volume for the pre-selection for the Golden Compass 2018 Award, the most distinguished reward of the Italian design. 2016: The Industrial range Unical Steamer is exhibited at CIBUS TEC - Parma - the two-year exhibition, a worldwide reference for all the technological innovations in the food farming field. 2016: Osa is presented at the most important Design magazines and to some architects, during some national and international events. The architect is absolutely the professional who can best appreciate the spirit of Osa boiler. Into the stores it is possible to download Unical Ufly APP which allows the remote control of Osa and of the central heating, through smartphones and tablets via home-wifi. 2016: Some important innovations are presented at MCE EXPOCOMFORT: many excellent products, like OSA, the first design boiler, which at last furnishes, being uncovered. Osa represents the shift of the theory for which devices like hoods, fridges and boilers have to be built in and hidden. On this occasion, the brand Schuster is also launched for foreign markets. 2015: Feeling strong with a complete Industrial range of products, Unical exhibits at ITMA, the worldwide show of textiles machines back in Italy since twenty years from last edition in the country. 2015: Unical attends the TECHNICAL SEMINAR in Qatar, presenting MODULEX EXT. This event is organized by ASHRAE (American Society of Heating, Refrigerating and Air-Conditioning Engineers), an AMERICAN ASSOCIATION OF ENGINEERS SPECIALISED IN HEATING and planners of important exhibitions in this field through U.S.A.
2014: Ugo, the new Unical "show room on the road" starts its tour in Italy and in Europe, presenting the renewable Unical energy products. 2014: Unical exhibits at MCE EXPOCOMFORT in Milan, in a new hall with a surface of over 3.500 sm, more than doubled and totally renewed to allow Unical to present an even more complete catalogue. 2014: Unical exhibits at PROGETTO FUOCO in Verona with BIOENERGY DIVISION, an international fair, completely dedicated to Biomass. Feeling strong for its forty-years of experience, with Bioenergy Division, Unical re-confirms itself as a protagonist of this market in strong development in Italy and beyond. 2013: The International Forum, the Unical IF in Florence, confirms the further revolutionary progress made by the Unical brand on the international scene. 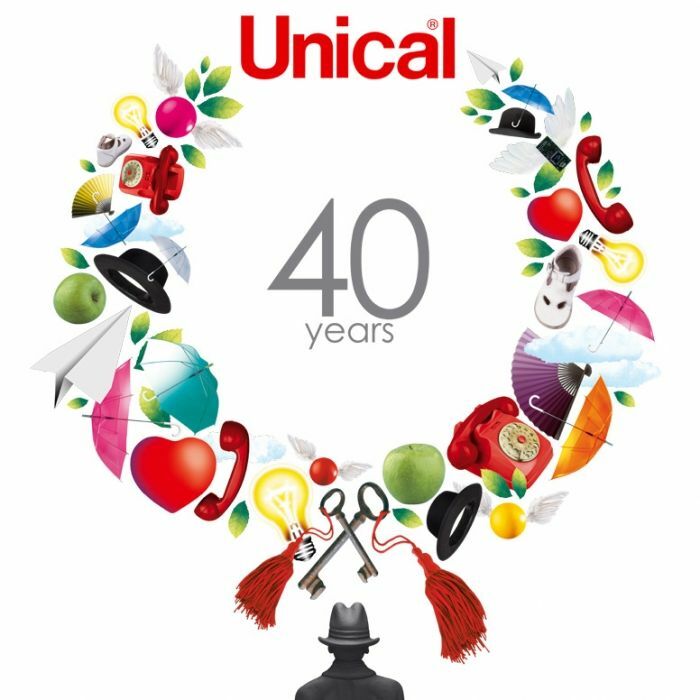 2013: Unical revamps its look, publishing a new website, with brand new graphics and usability, suitable for the most modern multi-media navigation tools. Technology thrives in every part of the company. The product, which is Unical's strong point, plays the starring role and this is evident day in day out, with an active website, filled with new products and features as well as information for all types of users: from retailers, to installers, service centres and end users of Unical heating and air conditioning products. 2012 - 2013: All our operating agents are kitted out with new multimedia instruments to do their job: use of paper documentation is relegated to archives, with Unical's “Sell More” application becoming a practical and functional must-have. 2012: Unical celebrates 40 years in business by taking part in the Expocomfort trade fair and organising a cultural event, the exhibition of a life's work and art by Eng. Giovanni Jahier, in Mantua, his birth town. An amazed and thrilled audience confirms yet again the great versatility and inimitable style which denotes the company. The success at Expocomfort was just as great. Despite the international financial crisis, Unical remains a sturdy business where technological research is always at the highest levels and where the product range speaks for itself. 2012: Unical receives Authorisation for the Marking Tests by the CSA for the American and Canadian market. 2011: The Unical showroom opens in Beijing. In late 2012, the showroom is replaced by the new “Unical Chinese Representative Office”. 2011: The generational handover is formalised in the family figures who are gradually introduced into the company and carry on with the work and style of its founding engineer and in the important gradual involvement, also in terms of shares, of the two executives Fiorani and Savoldo; Unical takes a new lease of life and the company is completely revamped, yet consistently and in keeping with all the work achieved so far. 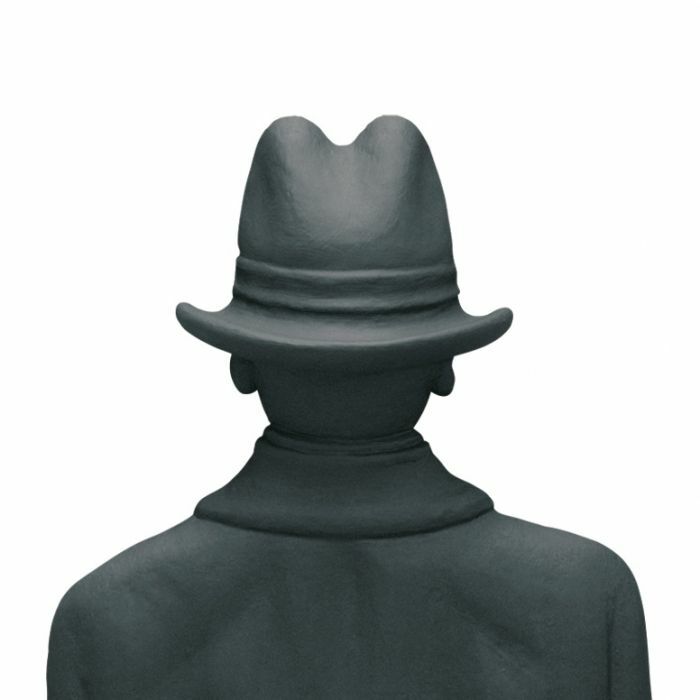 2010: The EXT version of Modulex is put into production. 2009: Unical's interest turns to photovoltaic products, with initial sales commencing in July 2010. 2009: The E8 09 version of Modulex is put into production. 2008: The new colossal steam boilers with 21,600 kg/h or 14,721 kW are presented at the Trade Fair in Milan Rho. Now absolutely nothing is missing. 2007: Unical Polska, the company running sales in Poland, is set up on 26th June. 2006: The first Expocomfort Trade Fair in Milan Rho, in the new trade fair district, witnesses Unical as the star of a great success story, with an even larger area than it formerly occupied in the former trade fair district and a product catalogue among the most extensive in the industry. 2004: This is a year of exceptional production in terms of units produced which, thanks to the production on behalf of major brands, which prefer to rely on the professional approach and technology offered by Unical, reaches and indeed exceeds 100,000 units by a few thousand. 2004: Unical's new floor systems are launched onto the market in March. 2002: This is the year in which Jahier reaches an agreement with his minority shareholders that will allow him to sell his shares in Sanicell and Dalmed to hold 100% of Unical shareholdings at last. By leaving the reins of the subsidiaries thanks also to the work of his trusted co-workers, Jahier skillfully succeeds in clinching a master deal, so much so that certain financial magazines write about it and praise the process. 2001: The U version of Modulex is launched, followed in time by increasingly high-tech and up-to-date products, to the present day. 2001: Unical turns its attention to Solar power and takes concrete steps in 2002 with the first products with DHW storage, until the production exploit in 2006. 2000: The new millennium opens its doors to a Unical business that relies on the strength of its new collaborations. Eng. Jahier does not stop and takes the company to an even more prominent position in the industry. Unical is recognised and recognisable owing to its truly sophisticated technology, its unrivalled style, its corporate identity built with method and that artistic flair which distinguishes the genially eclectic personality of the company's founder. 1999: Modulex, the super technological condensing boiler with aluminium heat exchanger, patented by Unical, goes into production. Modulex quickly becomes a very important product on a world-wide scale, so much so that, as for Gasogen, it goes on to become a victim of clumsy imitation attempts by famous major competitors. 1999: Unical's laboratory is granted Authorisation for EC Tests by the type-approval or "notification body" Afnor (now Certigaz). 1998: A very young manager (Fiorani) develops a project by Eng. Jahier, creating Sanicell, a subsidiary company to produce both vitrified and stainless steel tanks and which manages to exceed 100,000 units produced in 2000 over just a three-year period. 1998: It is no accident that the innovative products during these years are now on display at ExpoComfort in the Fiera Milano trade fair district within Unical's large customised hall. Eng. Jahier, while others still waver, decides to give a bold signal and to face all the possible factors/entities responsible for the ecological future of the planet. With six boards, which he drew himself (once again his artistic side astounds and stirs the emotions of the public) and six poems, he addresses Citizens, Mayors, Parents, Youths, Designers and Intellectuals by showing them the all but obvious choice between products which pollute and destroy nature and new products with low NOx emissions which Unical produces with innovative high-tech components. These products can safeguard the environment and guarantee safety, reliability, long-term savings much more so than highly polluting obsolete products. The little man, that highly personal conscience, who observes the world with us from behind our shoulders, as the world is transformed into an oasis, and then into a desert, the work of Jahier himself, who carved him out of clay, and then had him reproduced in synthetic material for display (the original has unfortunately long been mislaid) will naturally become the company logo to stand the test of time and to warn observers of all of Unical's future research. 1996: Study and development of the first Modulex, with Dutch and French technological partners. 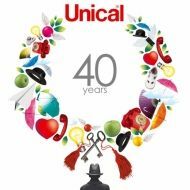 1994: From the former location in a multi-brand hall in the Fiera Milano exhibition district, Unical takes pole position by occupying an entire medium-sized warehouse in a highly central location all by itself. Unical designs an innovative booth with a large number of products and first class public welcome. The company's fear of having bitten off more than it could chew was unfounded, so much so that in subsequent editions of Expocomfort, Unical was forced to expand even further into a nearby hall, seeing as it had so many new products to offer its audience, due to lack of sufficient display space. 1994: This is the year in which Unical presents its first condensing product: “Kondensal” (28 kW) which adds to the already extensive catalogue. 1993: The minority shareholders gradually leave the company and Eng. Jahier becomes the majority shareholder, alongside an enlightened Italian entrepreneur who accompanies him with his trust and financial support, until he sells his minority shareholding to a multinational in the industry, under an English holding. 1993: On 27th March, Unical is the first company in the industry to receive EC marking across the whole of Europe. 1990-91: Construction of a new plant in Caorso, beside the motorway. The "Centro Studi Caldaie a Gas" (Gas-fired Boiler Study Centre) becomes a centre for technological research and prototyping, for large-scale industrial production as well as the training and refresher course facility for Unical installers. 1989: In February this year, Unical decides to shift its focus also to wall-hung gas-fired boilers, and it does so in a plant in Caorso. Annual sales double these years (consolidated turnover of 56 billion Italian Lire). In September and October of the same year, various appliances are launched, including Dua (the first gas-fired product available room-sealed or natural draught with 24,000 cal, 28 kW: Dua R heating only, Dua C (rapid) for combined heating and DHW, followed subsequently by Dua B with tank in 1991) and Gea the first floor-standing gas-fired boiler with a cast iron body (Gea R heating only, Gea B with side-by-side 45-litre tank followed subsequently by Gea B CELL with 110-litre lower tank). 1988: Unical begins working with a new external company, Dalmed, (created partly as a subsidiary) which produces components and outer casings. 1988: The same year, Unical Kessel is set up in Appenweier, Germany. 1986: Unical purchases a large plant in Carbonara which is subsequently refurbished, modernised and even extended, to make room for an ever-growing production. 1985: Unical France is set up in France, near Lyon. After boilers, which had until that time been natural draught, Eng. Jahier designs this wood-fired boiler with a fuel management system devised to reduce consumption levels. It is the first ever pyrolytic reverse flame boiler, with an international patent, which is distributed quickly across the whole of Europe. Despite the numerous attempts at copying this invention, the company retains its leadership for this product, which makes up for a quarter of total annual sales. Following on from the enormous success of this product, over the following years, the company develops an entire "steel" range. Again during the 1980s, Unical developed the “TZ” range, which evolved into the “Prexal” and subsequently the “Ellprex" range, still with reverse flame, and thus increasing the various power ratings up to 7,000 kW in 2012, allowing Unical to win over major markets such as Russia. 1977-79: Activity resumes with about fifteen people. New steel boilers are produced, either diesel oil or wood-fired, or both. “GSB” is a multi-fuel boiler, followed by “GST”. 1975-76: While production is practically at a standstill, the company continues in its inventive and technological research activities; in the meantime, to maintain production activity, carpentry work is performed on commission. The entire industry undergoes a crisis; at Unical, staff begins to study new solutions and develop alternative ideas. The “GS” wood log boiler is launched, with a power rating of between 20 and 40 kW with natural draught. The three founding partners begin in a 200 sq.m. warehouse with a share capital of 5 million Italian Lire, producing the first steel boilers. One of the very first boilers is called “Piccola” (literally, small), heating version with or without DHW production, diesel-fired. 1970: First steps towards establishing the company. Eng. Giovanni Jahier meets up with another young engineer in the industry and they begin to plan the opening of a business.